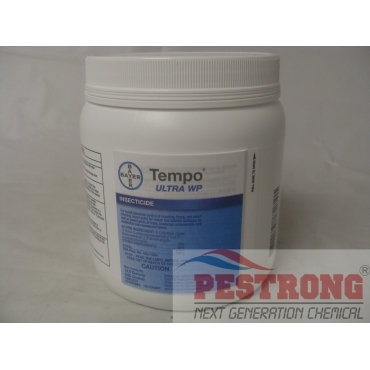 Where to Buy Tempo Ultra WP, Tempo Ultra WP Insecticide - 14.8 oz (420 g) Powder - $67.39 for Sale with Fast Free Shipping! Tempo Ultra WP Insecticide - 14.8 oz (420 g) is a wettable powder and contains cyfluthrin that provides quick knockdowns and long lasting residual actions will insure that you only have to spray every two to three months. Probably the only tub wp left now. Works really well on bees. Does the job quick every time. Great on ants too.